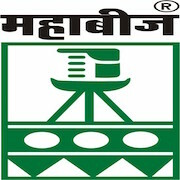 Online Application Details for Maharashtra State Seeds Corporation Limited MSSCL Recruitment of 2 General Manager and 2 Deputy General Manager is given below. Application form and duly attested documents are to be sent to General Manager(Admn), Maharashtra State Seeds Corporation Limited, Mahabeej Bhavan, Krishinagar, Akola (MS)-444 104. In envelope super scribed with 'Application for the Post of Post Name'.